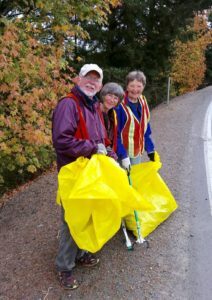 Looking to volunteer? Here’s your chance! 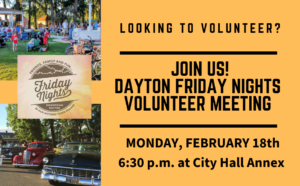 Come to our 1st Friday Nights Volunteer Meeting on Monday, February 18th, 6:30 p.m. at the City Hall Annex & learn more about the planning for Dayton Friday Nights 2019, the popular community summer event series! Everyone is welcome! Questions? Contact us at info@daytonoregon.org.